Friday is a very important day for me. Not only is it the last work day of the week, but it’s also the day my department typically goes out to lunch. 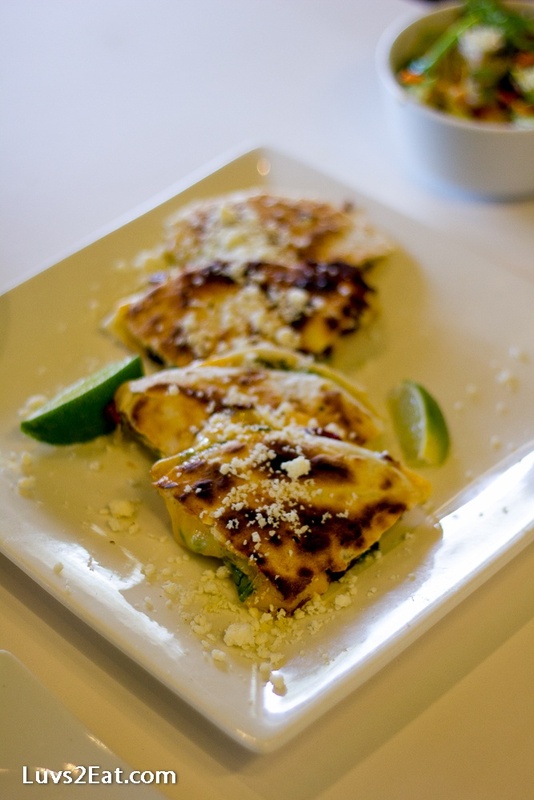 Being located downtown, we have so many options for great food. 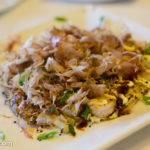 Sometimes, however, eating with a group can be a challenge, especially when it comes time to split the check and tally the final bill. Enter Lucky Robot. 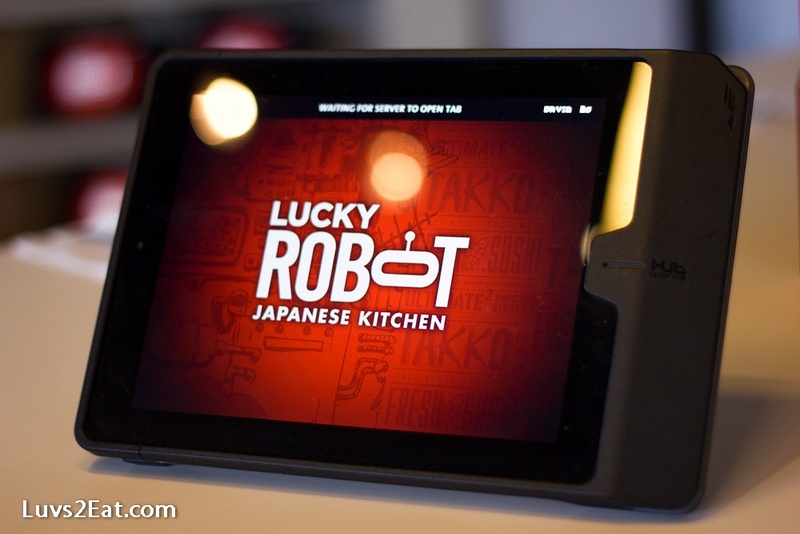 Not only does the recently opened Lucky Robot Japanese Kitchen have tasty food, their iPad ordering system makes splitting the check a breeze. 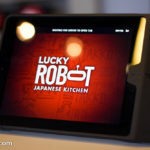 Lucky Robot features a really cool iPad ordering and payment system. I was curious how to see how the waiter’s role changed when the iPad ordering system was used. Even though our orders were entered directly into the iPad, our waiter was attentive and was there to answer questions, deliver food and keep our drinks full. This system made it really convenient to split checks between our group, pay by credit card directly from the table and didn’t leave us wasting time waiting for a check. 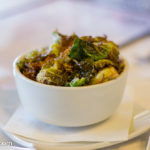 We were all very impressed with how smoothly the iPad ordering worked and it helped create a unique dining experience. Brussels Sprouts: The Brussels sprouts were crispy fried and tossed in a lemongrass soy sauce. 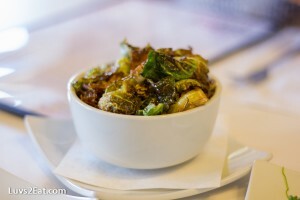 These were really good and I would recommend them as a starter, or even a side to an entree. 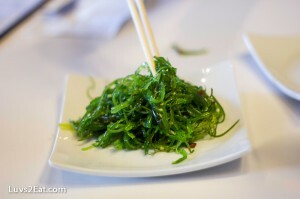 Seaweed Salad: This was a traditional seaweed salad. If you like seaweed salad, you’ll like this. 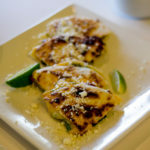 Quesadilla: The quesadilla was pretty amazing. It included candied bacon, ginger scallions, goat cheese, mixed cheese, and topped with queso fresco. How can you go wrong with those ingredients? Okonomiyaki: I have a hard time pronouncing Okonomiyaki. Luckily, since I was ordering on an iPad, I didn’t have to embarrass myself trying to say it when ordering. 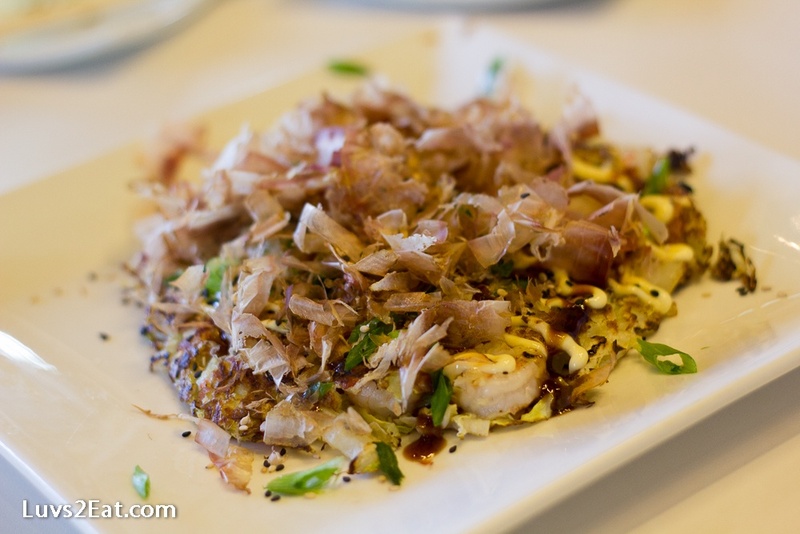 Okonomiyaki is a “Japanese Street Pizza”. 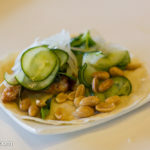 The Lucky Robot dish is made with shrimp & krab, topped with QP, tonkatsu, pickled ginger, scallions, bonito and sesame. I really enjoyed it! Salted Caramel Rice Crispy Treat: This was a nice way to cap off a great meal and we easily shared it between four people (it was much bigger than it looks in the picture). 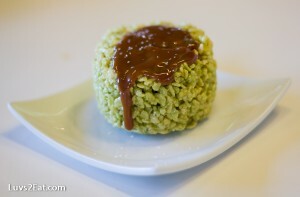 It hit the spot, and was a great dessert for only $2. Overall, the food was fantastic. 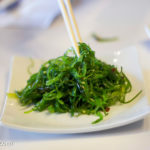 I’ve never been to Zen, so I don’t know how it compares to the previous menu, but I really enjoyed everything I tried (which seemed to be the consensus in our group). I would highly recommend checking out Lucky Robot. 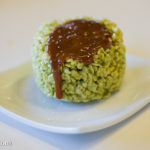 Lucky Robot is located at 1303 S Congress Ave Austin, TX 78704 across from Jo’s Coffee and next to Amy’s Ice Cream.